Dust jacket and interior illustrations by Doris Mantair. 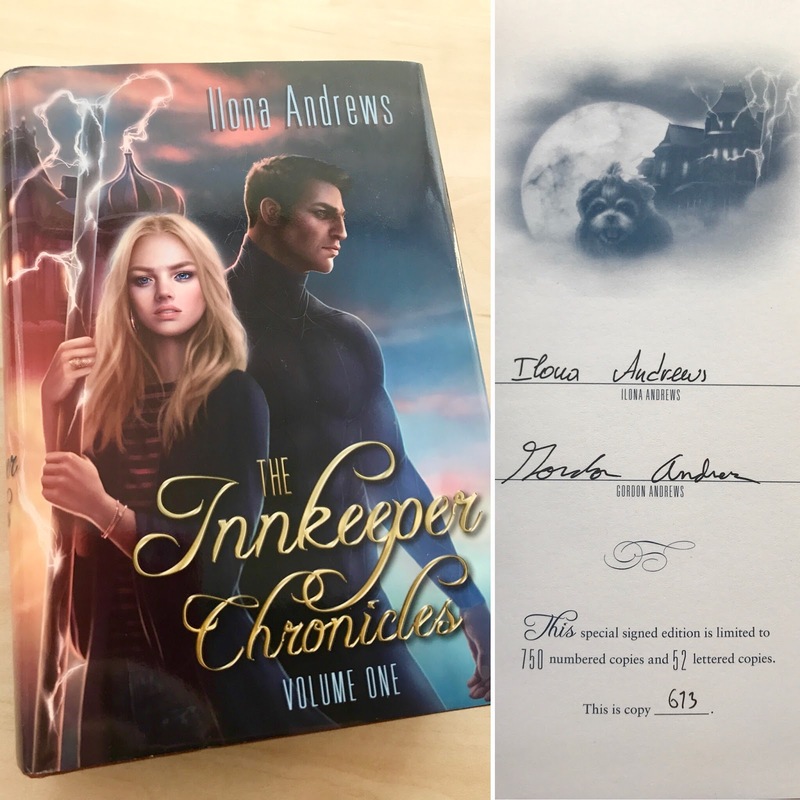 Subterranean Press is pleased to present, from NYT #1 bestselling author Ilona Andrews, an omnibus of the first three novels in the Innkeeper series. 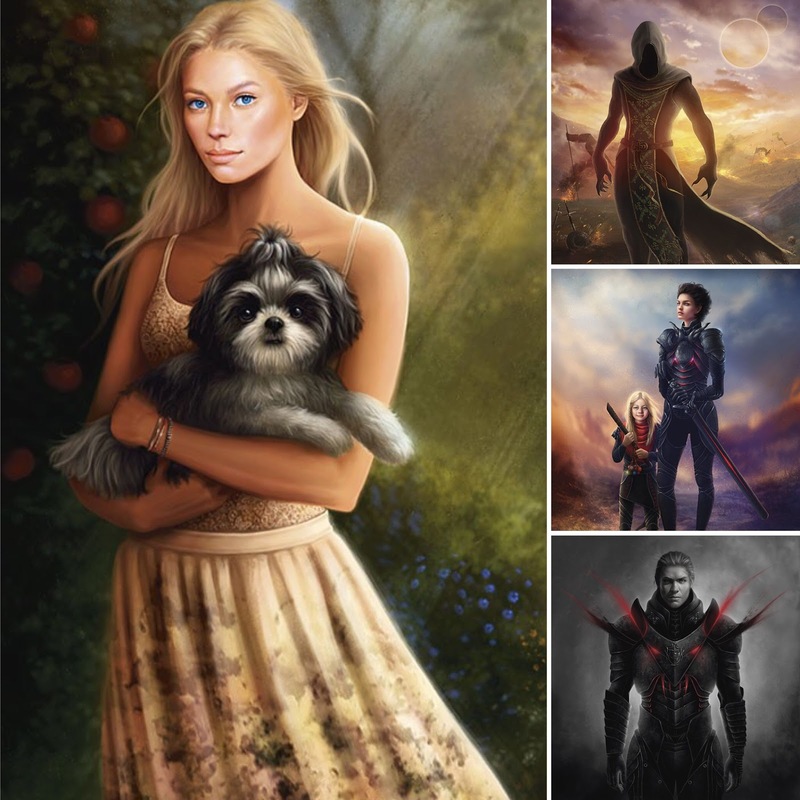 Our edition will be huge (over 760 pages), with an original full-color wraparound dust jacket, as well as full-color and black-and-white interior illustrations by Doris Mantair. So don’t expect a normal stay…and don’t stand too close, or you may be collateral damage…. 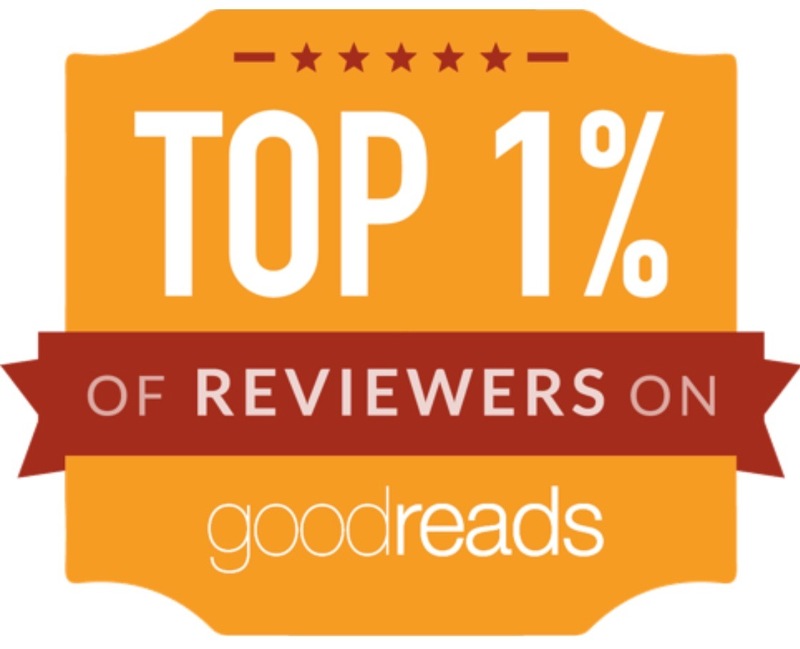 In Clean Sweep, Dina—with the unwanted assistance of newcomer (and alpha werewolf) Sean Evans and Arland, a cosmic vampire soldier—takes on an extraterrestrial killing machine that could destroy her Inn, her neighbors, and everything she holds dear. Sweep in Peace, finds Dina hosting an anything-but peace summit between three warring intergalactic species; Space Vampires, the Hope-Crushing Horde, and the devious Merchants of Baha-char. 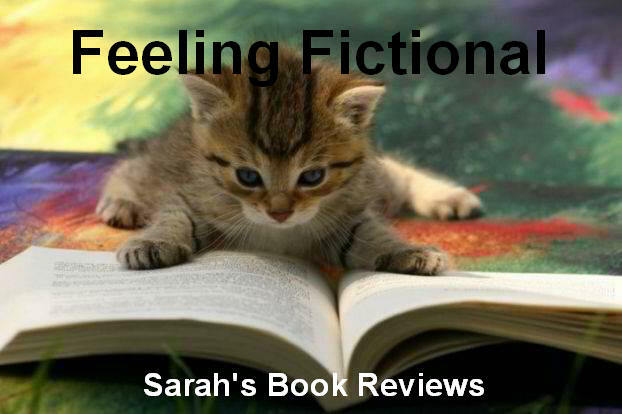 One Fell Sweep sends Dina to the galaxy’s worst penal colony to rescue her sister; and back home to fend off a clan of assassins in pursuit, all while saving a guest’s civilization from annihilation…and searching for her missing parents. The Innkeeper Chronicles is a series that Ilona and Gordon Andrews initially posted on their blog as a free serial then, when each story is complete, it is fully edited, additional material may be added and it is released as a self published book. Subterranean Press has since released this beautiful, limited edition, signed hardback containing the first three books in the series: Clean Sweep, Sweep in Peace and One Fell Sweep. At around 760 pages this is a massive hardback full of gorgeous illustrations from Doris Mantair (in both colour as well as black and white) that make it a fantastic collectors item. As a huge fan of this series I immediately preordered my copy of this hardback as soon as it went on sale and I love finally having a signed book by Ilona and Gordon in my collection! 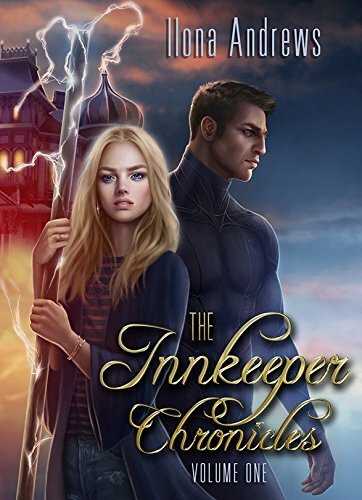 I love all of their books but I think the Innkeeper Chronicles is possibly their most creative series yet. The idea of the Innkeepers is just brilliant and I love Dina and the family she has created for herself. I expect most people looking at this hardback will already be fans of the series and I can confirm you won't regret making this purchase. 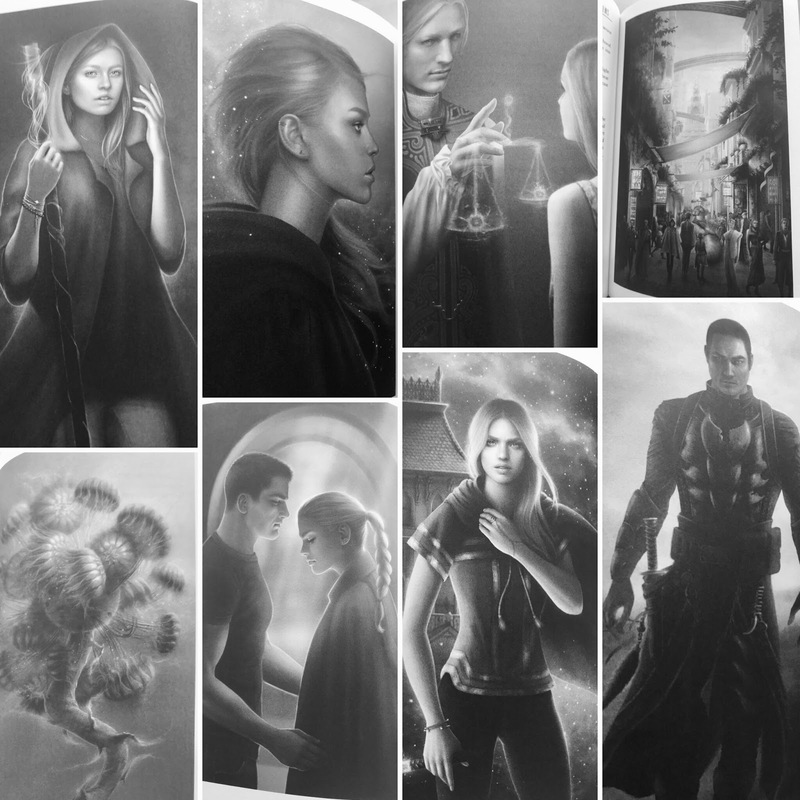 If you're new to the series you can also buy each story individually but you really should snap this up while copies are still available, there are only 750 of them available and once they're gone they're gone forever. The photos below show you the gorgeous illustrations you'll find inside the book, I think most of these have already been shared on Ilona and Gordon's blog and in the previously published versions of the books but it was great to see them again and I particularly loved the glossy colour images. It's great to see the characters brought to life. Source: Received from the publisher in exchange for an honest review but I've also purchased my own finished copy because I love it so much I need it on my shelves!